This premier Southern New Jersey medical/professional space at 1910 East Route 70 in Cherry Hill is now available for sale or lease from Wolf Commercial Real Estate (WCRE). This South Jersey office space is located in Unit 3 at 1910 East Route 70 and is 1,480 sf with an adjacent 780 sf contiguous suite available. This South Jersey medical and professional office space is available for immediate occupancy. The asking sale price for this Southern New Jersey medical/professional space is $235,000 and the asking lease price is $18.00 sf/ gross plus utilities and janitorial. 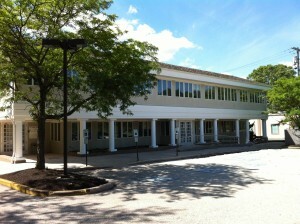 There is abundant parking at this South Jersey office space at 8/1,000 sf. This Southern New Jersey medical/professional space at 1910 East Route 70 is a fully finished medical office suite fit-out with exam rooms, waiting room, billing area and private offices. This South Jersey office space is located in a garden-like professional campus setting. In addition, this Southern New Jersey medical/professional space is located at the intersection of Route 70 and SpringdaleRoad in Cherry Hill and offers immediate access to Routes 38, 73 and I-295. The South Jersey office space for sale or lease is within minutes of the Virtua, Lourdes, Kennedy, Cooper and UMDNJ health system facilities. An average of more than 54,000 vehicles a day drive by this Southern New Jersey medical/professional space at 1910 East Route 70 and there are nearly 55,000 residents living within a three-mile radius of this South Jersey office space. 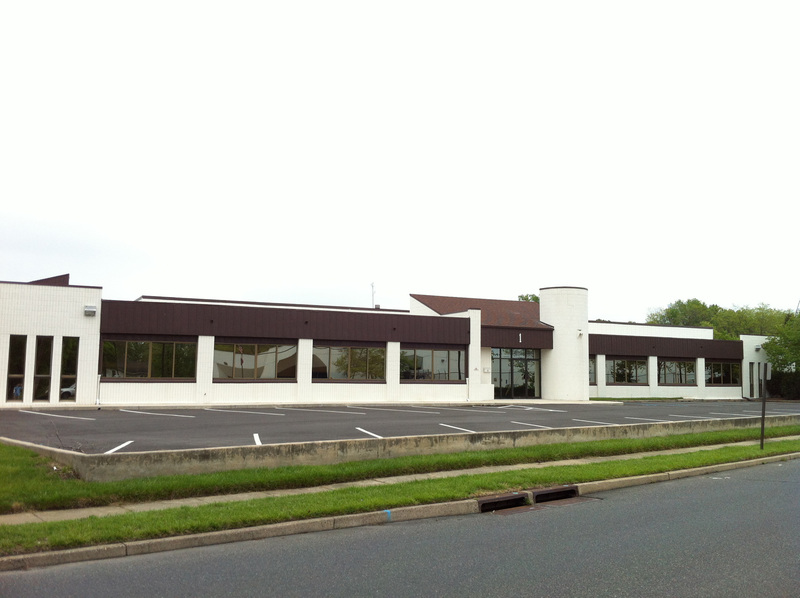 For more information about this Southern New Jerseymedical/professional space at 1910 East Route 70 or other office or retail properties for sale or lease in Cherry Hill, Southern New Jersey and the Philadelphia region, contact either Jason Wolf (856-857-6301; jason.wolf@wolfcre.com) or Leor Hemo (856-857-6302; leor.hemo@wolfcre.com) at Wolf Commercial Real Estate. Wolf Commercial Real Estate (WCRE) is a full-service Southern New Jersey and Philadelphia region commercial real estate brokerage and advisory firm specializing in Southern New Jersey and Philadelphia commercial offices, retail properties and buildings for buyers, tenants, investors and sellers. Please click the links below for listings of South Jersey commercial real estate for lease or purchase or for information about retail or office space for sale or lease. This premier Southern New Jersey office space for lease at 600 Cuthbert Boulevard in Westmont, New Jersey is now available for lease from Wolf Commercial Real Estate (WCRE). This South Jersey office space located in a full service mid-rise office building at 600 Cuthbert Boulevard, is available in three configurations: 9,868 sf on the first floor, 8,615 sf on the second floor and an additional 9,800 sf on the third floor for potential expansion. There is strong ownership and on-site management at this Southern New Jersey office space for lease. The asking lease rate for this South Jersey office space for lease is $16.00 per square foot Full Service and the space is available for immediate occupancy. This Southern New Jersey office space is adjacent to the Westmont Plaza Shopping Center as well as to several restaurants and banks. There is close proximity to the PATCO High Speed Line and Cuthbert Boulevard offers easy access to Routes 38, 70 and 130 as well as to all bridges to Philadelphia. An average of nearly 30,000 vehicles a day drive by this South Jersey office space at 600 Cuthbert Boulevard and there are more than 140,000 residents living within a three-mile radius of this Southern New Jersey office space for lease. 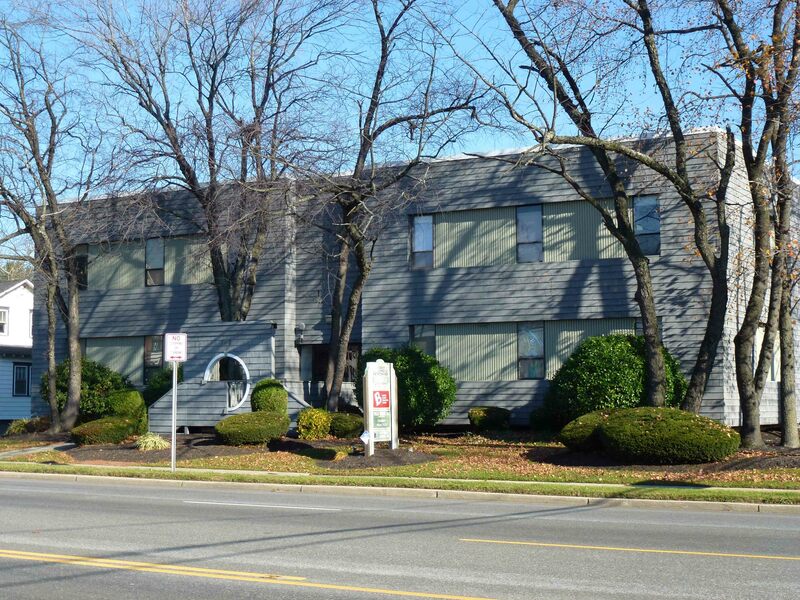 For more information about this South Jersey commercial real estate at 600 Cuthbert Boulevard or other office or retail properties for sale or lease in Westmont, Southern New Jersey and the Philadelphia region, contact either Jason Wolf (856-857-6301; jason.wolf@wolfcre.com) or Leor Hemo (856-857-6302; leor.hemo@wolfcre.com) at Wolf Commercial Real Estate. Wolf Commercial Real Estate (WCRE) is a full-service Southern New Jersey and Philadelphia region commercial real estate brokerage and advisory firm specializing in Southern New Jersey and Philadelphia commercial offices, retail properties and buildings for buyers, tenants, investors and sellers. Please click the links below for listings on South Jersey office space for lease or purchase or for information about retail sales or leases. This premier Southern New Jersey medical office space for lease at 63 Kresson Road in Cherry Hill is now available for lease from Wolf Commercial Real Estate (WCRE). This South Jersey premier fully fit out medical office space has 2,900 square feet available for lease and the asking lease rate for this Southern New Jersey office space for lease is $14 per square foot NNN and this unit is available for immediate occupancy. Join Lourdes Health System in this fully fit-out medical/professional South Jersey office space at 63 Kresson Road that borders neighboring Haddonfield. Parking is abundant (5/1000sf) at this well-located Southern New Jersey office space that is located near the intersection Kresson Road and Brace Road in Cherry Hill and offers easy access to nearby Route 70 and Haddonfield Berlin Road. An average of more than 21,000 vehicles a day drive by this South Jersey office space at 63 Kresson Road and there are nearly 102,000 residents living within a three-mile radius of this Souhern New Jersey office space for lease. For more information about this South Jersey office space at 63 Kresson Road or other office or retail properties for sale or lease in Cherry Hill, Southern New Jersey and the Philadelphia region, contact either Jason Wolf (856-857-6301; jason.wolf@wolfcre.com) or Leor Hemo (856-857-6302; leor.hemo@wolfcre.com) at Wolf Commercial Real Estate. This nearly 13,000-square-foot premier South Jersey office space at 1 Allison Drive in Cherry Hill is now available for sale or lease from Wolf Commercial Real Estate (WCRE). These commercial South Jersey offices for sale or lease has an asking price of $1.275 million or an asking lease rate of $10 per square foot NNN and are available for immediate occupancy. 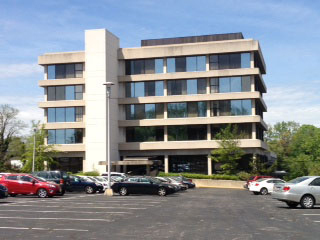 Parking is abundant at this South Jersey office space, which is located along one of the main business corridors of Cherry Hill off Marlkress Road. There’s excellent access from these South Jersey offices for sale or lease to Route 70, Route 73, Interstate 295 and the New Jersey Turnpike, as well as to public transportation. This Cherry Hill office property is located directly across the street from the Cherry Hill Post Office. 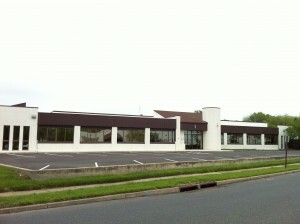 An average of nearly 89,000 vehicles a day travel through the nearby major intersection of Marlkress Road and the Marlton Pike next to this South Jersey office space. There are more than 76,000 potential customers and employees living within a three-mile radius of at 1 Allison Drive in Cherry Hill. For more information about these South Jersey offices for sale or lease in Cherry Hill or Southern New Jersey and Philadelphia regions, contact either Jason Wolf (856-857-6301; jason.wolf@wolfcre.com) or Leor Hemo (856-857-6302; leor.hemo@wolfcre.com) at Wolf Commercial Real Estate. Wolf Commercial Real Estate is a full-service Southern New Jersey and Philadelphia region commercial real estate brokerage and advisory firm specializing in South Jersey commercial offices and buildings for buyers, tenants, investors and sellers. Please click the links below for listings on South Jersey office space for lease or purchase or for information about retail sales or leases. 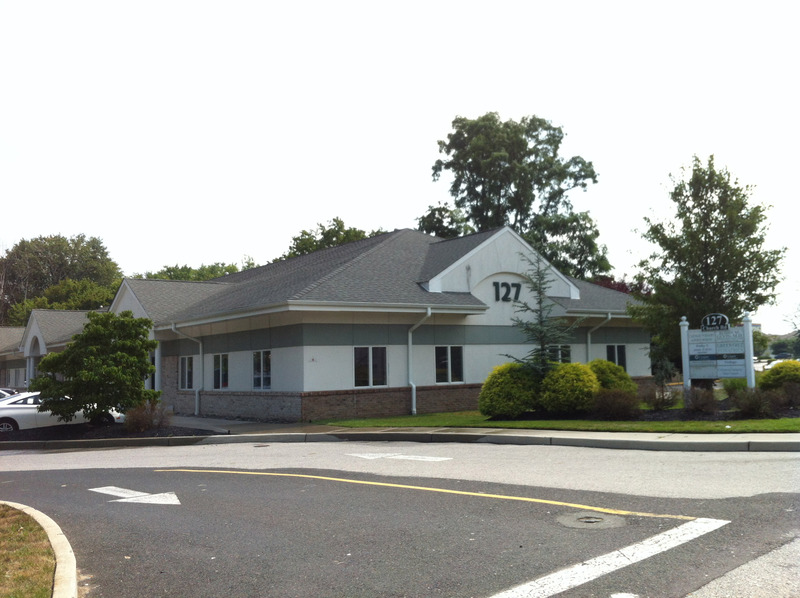 Two medical/professional suites at 127 Church Road in Marlton are the newest South Jersey offices for rent now available from Wolf Commercial Real Estate. The two suites that are ready for immediate occupancy in this medical South Jersey office space are the 1,714-square-foot Suite 100 and the 1,346-square-foot Suite 600. The asking lease price for these South Jersey offices for rent is $20/sf gross plus utilities and janitorial for Suite 100 and $17/sf gross plus utilities and janitorial for Suite 600. These recently constructed South Jersey offices for lease at 127 Church Road in Marlton offer easy access to both Route 73 and Greentree Road. Located in the Evesboro section of Evesham Township, this South Jersey office space available for lease is in close proximity to Mount Laurel, Medford and Cherry Hill. Your fellow tenants in these medical South Jersey offices for rent in Marlton will be a pediatrician, dermatologist, OB-GYN, dentist, urologist and a podiatrist. Your customers will find more than enough parking with 6/1,000 sf available spaces at this South Jersey office space for lease. For more information about these South Jersey offices for rent in Marlton, contact either Jason Wolf (856-857-6301; jason.wolf@wolfcre.com) or Leor Hemo (856-857-6302; leor.hemo@wolfcre.com) at Wolf Commercial Real Estate. Wolf Commercial Real Estate is a full service commercial real estate brokerage and advisory firm specializing in South Jersey commercial offices and buildings for buyers, tenants, investors and sellers throughout the Southern New Jersey area. Please click the links below for listings on South Jersey office space for rent or purchase or for information about retail sales or leases. Here’s a great office leasing opportunity from Wolf Commercial Real Estate for newly renovated South Jersey professional, medical office space available in West Deptford. This South Jersey office space, at 875 Kings Highway, is available for immediate occupancy at an asking lease rate of $15.00/sf NNN. You can lease anywhere from 1,000 to 9,000 square feet of this first-floor South Jersey professional, medical office space. 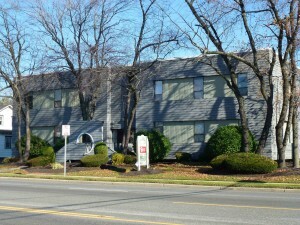 The large parking lot and common areas of this South Jersey office building for lease have been completely renovated and there are other significant improvements taking place at this South Jersey professional, medical office space, on both the interior and exterior of this commercial office building. 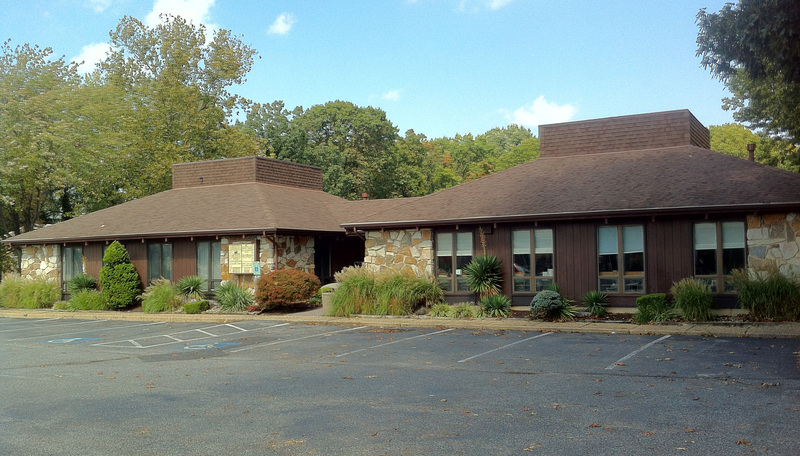 This available South Jersey professional, medical office space for lease is located directly across from the Westwood Golf Club and is within close proximity to both Underwood Memorial Hospital and the Gloucester County Courthouse. In addition, this South Jersey office space for lease offers easy access to the New Jersey Turnpike, Interstate 295 and state Route 45. For more information about this South Jersey professional, medical office space for lease at 875 Kings Highway, contact either Jason Wolf (856-857-6301; jason.wolf@wolfcre.com) or Leor Hemo (856-857-6302; leor.hemo@wolfcre.com) at Wolf Commercial Real Estate. Wolf Commercial Real Estate is a full service commercial real estate brokerage and advisory firm specializing in South Jersey commercial offices and buildings for buyers, tenants, investors and sellers throughout the South Jersey area. Please click the links below for listings on both South Jersey office space for lease or purchase or for information about retail sales or leases. Wolf Commercial Real Estate has a new listing for prime South Jersey office space that’s immediately available for lease and occupancy at 712 Haddonfield Road in Cherry Hill. These 1,250-square-foot, first-floor South Jersey offices for lease are perfect for either medical or general office use. This South Jersey office space has an asking lease rate of $18.00/sf gross, plus utilities and janitorial services. With an average daily traffic count on Haddonfield Road of just under 30,000 vehicles a day, these South Jersey offices for lease sit in the middle of a three-mile population radius of more than 135,000 potential customers. This South Jersey office space is directly across from the power retail center on the site of the former Garden State Race Track. There is convenient, immediate access from these South Jersey offices for lease to Routes 70 and 38 as well as to Kennedy Hospital-Cherry Hill and both the Lourdes and Cooper health systems in nearby Camden. For more information about these South Jersey offices for lease at 712 Haddonfield Road, contact either Jason Wolf (856-857-6301; jason.wolf@wolfcre.com) or Leor Hemo (856-857-6302; leor.hemo@wolfcre.com) at Wolf Commercial Real Estate. Wolf Commercial Real Estate specializes in representing South Jersey office space for buyers and sellers throughout the area. Please click the links below for listings on both South Jersey offices for lease or purchase or for information about retail sales or leases.